Planning to vacation next week along the northeast Gulf Coast? Be aware there is a serious risk of flooding. 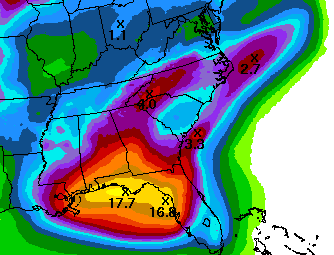 Here is the 5-day rainfall forecast.